James brother of Jesus is an interesting study because of his unique position of Jesus' closest brother. He was suspicious of Jesus, but came to believe in the Son of God. 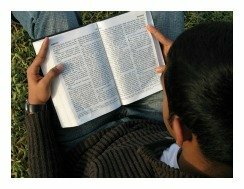 Please read James 2:1-26 before starting GraspingGod.com's free Bible study lessons, #2.17. Previous lesson: Transfiguration Of Jesus #2.16. 1) Did James always believe that Jesus was the Son of God, the Messiah? 2) Did James become a true believer in Jesus Christ as Lord of his life? 3) What did James mean when he said, "Draw near to God and he will draw near to you?" Great to see you again today. Grab your Bible and let's start a Bible study lesson about one of Jesus' brothers. This important man was a pillar in the establishment of Christianity - James, brother of Jesus. There are several men named James in the Scriptures: 1) James, the son of Zebedee, the brother of John, and one of the 12 disciples; 2) James, the son of Alphaeus, and another of the 12 disciples (Matthew 10:3); 3) James the Less, the brother of Joses (Matthew 27:56; Mark 16:1); 4) James, the father of Judas (Luke 1:16; Acts 1:13); and finally, our man 5) James brother of Jesus. Keep in mind that this James was NOT one of Jesus' 12 disciples. James, brother of Jesus was the oldest of his four step-brothers. You know why I say James is Jesus' step-brother, right? Jesus' biological father was God, while James' biological father was Joseph. They did share the same mother, Mary and earthly dad, Joseph. James is listed as one of Jesus' brothers in several passages in the New Testament (Matthew 13:55-56 for one example). There were probably about 2-3 years separating the two in age. We know there were no other children mentioned when Joseph and Mary departed Egypt after fleeing from Herod. Herod died soon after the young family arrived in Egypt. They eventually made their way home to Nazareth with only Jesus (Matthew 2:19-23). Please read John 7:1-13 before proceeding. James and his full brothers were skeptical of Jesus' lofty position as the Messiah (John 7:5). They probably grew weary of their older brother's perfect behavior and subsequent accolades. 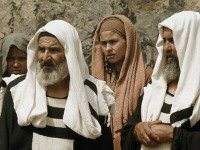 The siblings would have experienced a difficult time following Jesus' footsteps! Surely, their brother couldn't be God's Messiah, could he? Wow, the confusion they must have endured. Regardless, I'm sure they had a close-knit family. Lots of evening devotions, Scripture reading and like today, fun games with much laughter and togetherness. The siblings matured into young men. So, it's time to put ourselves in James' shoes. What would we have thought of our older brother's teachings and confrontations with the established religious leaders? Jesus was a lightning rod wherever he went and James and his brothers must have heard all about the commotion caused by Jesus and his messianic message. Remember, James the brother of Jesus, was very close in age with him and probably spent lots of time with him each day. Imagine all of the incredible wisdom James gathered from being close to Jesus for 20+ years. James, the brother of Jesus and his other siblings suggested that Jesus go to his disciples in Judea and show them his great miracles (John 7:3). Jesus would have none of it - they were speaking from the world's point of view and he told them so (John 7:6). This was an edgy conversation, which revealed the time-table of Jesus (John 7:8). He later did enter Judea at the Feast of the Tabernacles, but kept hidden from the crowds. These were the beginning days of Jesus' public rejection. His teachings were getting stronger by the day and word was spreading about his works. The Pharisees' were slandering him and the crowds were careful to speak his name. People feared retaliation by the religious leaders. John 6:66 also reports many of Jesus' own disciples were leaving him during this period. Time passed. Jesus spent most of his time with his disciples by now. The day came and Jesus was going to trial. James possibly watched Jesus' crucifixion. He at least heard the breaking details. I can't imagine his emotional swings and the thoughts running through his mind about his older brother. There had to be a strong love for Jesus, because we all look up to our older brothers, don't we? I'm sure James brother of Jesus greatly loved him. However, until Christ's crucifixion and resurrection, he was very leery of Jesus' claims. The apostle Paul records that James was actually a witness of Jesus' resurrection. Paul later referred to James, brother of Jesus, as an apostle, but not meaning one of the original 12 apostles (Galatians 1:19). James had become a true believer after the resurrection and he waited on the coming Holy Spirit in Jerusalem after Christ's ascension (Acts 1:14). The group became filled with the Holy Spirit. While many of the new Spirit-filled believers went out to evangelize the world, James remained in Jerusalem to establish the Christian church. He worked with the disciples, John and Peter (Galatians 2:9) and all three together became known as the pillars of the Christian church. Remember earlier when I mentioned that James gathered much wisdom from his older brother? God planned that perfectly for this situation. Acts 15:12-21 and Acts 21:18-25 highlight the important position James had within the church. He was a leader, as can be drawn from the fact that his name was the only one mentioned by Paul. Please take a moment to read the passages. James, brother of Jesus Christ and the other elders had to delicately handle the emerging issue of the Jewish and Gentile fusion into the Christian faith. This was no small matter, but the work James and the other leaders did proved brilliantly effective. 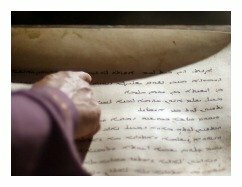 James brother of Jesus wrote an epistle (aka letter) that is included in the Holy Bible. You can really get to know James by reading this critical sermon. James hits you hard with the gospel's practical truths. The book is loaded with challenges to one's faith, and the resulting obedience and good deeds that prove your faith. He uses bold illustrations and pointed reminders that are meant to motivate the believer to perform good works. He brings to light Jesus' message that "A tree is known by it's fruit" (Matthew 12:33). The book of James highlights three things: First, the tests of faith that people endure. He tells us about God's purposes for the challenges we face and even the source of the temptations we encounter. Next, James reveals the characteristics of our faith. This includes how true faith: 1) obeys the Bible; 2) proves itself by good works; 3) produces wisdom and humility; 4) makes us rely on Christ alone; and, 5) faith triumphs in the end. Our faith in Jesus Christ alone endures til the end and it longs for Jesus' return. James finished by informing us that real faith prays for our brothers and sisters in Christ, and that it boldly confronts erring believers. James brother of Jesus, penned one of my favorite verses in his book: James 4:8 reads, "Draw near to God and he will draw near to you." The command energizes seekers and believers to continually grow their faith, obedience, and works in God. At no time in our lives are we to become passive spectators of Jesus Christ and his Kingdom. You and I are to DAILY meet Jesus in the Bible, DAILY pray to him, DAILY work for him, and DAILY seek his perfect will for our lives. Your real discipleship keeps you obeying Jesus on a daily basis. God wants our hearts, in full, forever. I fear that we Christians have so zealously tried to protect the doctrine of salvation by faith alone, that we have seriously erred. I'm in the middle of reading Dietrich Bonhoeffer's classic book, The Cost of Discipleship and my eyes have been reopened to our error. Our gospel message to the outside world has been: Pray to receive Jesus by faith alone and you are saved. The idea is far too simplistic and shallow. It leads to cheap grace and false faith. Let me explain. The word of God never tells us to evangelize a person quickly, by means of a short prayer. A person must have prior knowledge of the gospel of Jesus Christ. Humans are lazy and we defer to our laziness in regards to evangelism. Leading someone to Christ begins with the person following Jesus. In other words, being discipled in the Bible and life by a Christian. That, my friends, is our job. To disciple followers of Jesus. God's costly grace can better be explained like this: The Holy Spirit draws the person closer to God by opening their hearts and minds. Jesus then tells the person to "Come, and follow me." Jesus expects the person to come and follow him. We Christians, as a church or sometimes individually, then disciple him or her through providing the necessary knowledge of the Scriptures. The person finally is empowered to make a sound decision for Jesus Christ. Their decision is made only after counting the true costs of discipleship. Obedience to God is very, very costly. God's process leads a person to real faith, which is obedient and service oriented. I pray you start your journey today. 1) I am personally amazed of the truth that Jesus' family all came to be true believers in Jesus. He once stated, "A house divided will not stand" (Luke 11:17). It's no coincidence that God the Father planned for Jesus to be born into Joseph and Mary's family. Therefore, the question can be asked, "Does the belief of Jesus' family give supporting evidence for predestination? (Ephesians 1:3-14). Why, or why not? 2) Many people contrast James' book of the Bible with Paul's teaching of salvation by faith alone. Compare and contrast Romans 3:28 with James 2:24,26. You are encouraged to expand on these passages to discover the full truths of their messages. The question pits "Salvation by faith alone" with "Faith without works is dead." 3) What spiritual issue is James brother of Jesus really addressing with the following teaching? "You believe that there is one God. Good! Even the demons believe that — and shudder" (James 2:19). I would put it to you, my dear hearer, have you been fruitful? Have you been fruitful with your wealth? Have you been fruitful with your talent? Have you been fruitful with your time? What are you doing for Jesus now? but my actions oppose the claims. leading to repentance and renewal. There you are, my God! Giving me one more chance, to prove my love to You! After sharing this Bible study lesson on Facebook or Twitter below download your FREE printable Bible Study Lessons (pdf version): James Brother Of Jesus, Lesson 2.17. 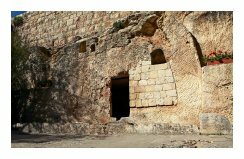 Special Note: I'm grateful to Big Book Media & Free Bible Images, Stock Exchange, Morgue Files, and Stock Photos For Free for the use of their photos for Jesus' Brother James Bible study lesson.